Safeguard potential evidence. Preservation of evidence is key. Secure any and all potential evidence — but by all means, avoid the temptation to examine the evidence on your own. Electronic evidence is fragile and easily altered. Did you know that simply turning a computer off or on can alter potential evidence? Secure computers, cellphones and external electronic media sources such as thumb drives. Maintaining the evidence will help your forensic accounting team identify what occurred, who committed the fraud and why. Gather a team. Enlist a forensic accountant and computer forensic specialist to help you collect, analyze and store the data. It would be wise to hire an outside financial investigator who is familiar with and experienced in fraud investigations — using an in-house accountant is not appropriate, as they are not as objective as an outside source. In fact, someone on the accounting team may be part of the problem. Retain an employment lawyer to ensure you stay on the right side of the law regarding the rights of the suspected employee. Deal with the suspected employee. Don’t fire the suspected employee immediately — it could make gathering evidence much more difficult. Instead, restrict their access to company data. Do not let them remove their computer or any other company items and documents from their office. Notify your insurance provider. A crucial fact for employers to know is that you must notify your insurance provider within 30 to 60 days, depending on your policy. Failure to do so could cause a loss of coverage. File proof of loss. You will need to document any losses with your insurance provider in a specified time frame. Documenting a claim with an insurance provider takes time to ensure it is properly recorded. It is possible to file an extension should you need one, but be sure not to miss any deadlines or you risk forfeiting coverage. The best way to mitigate fraud risks is to have internal controls and external resources available to prevent them from happening in the first place. 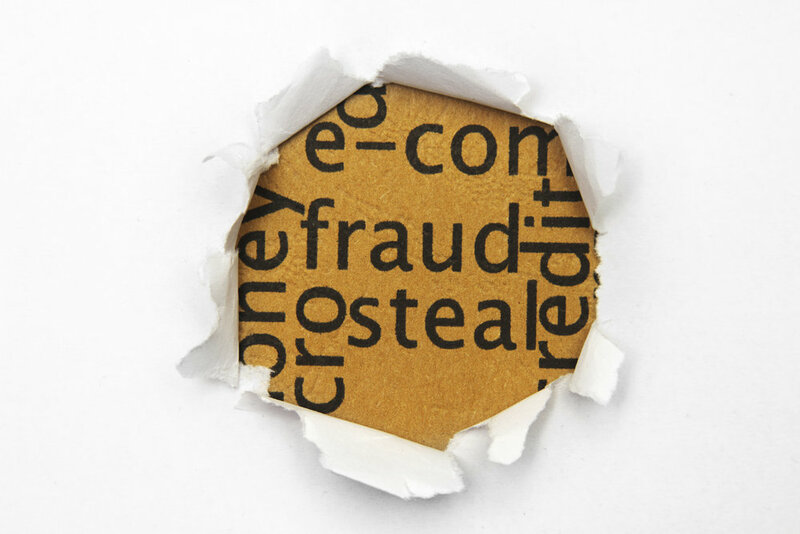 Should fraud occur, the initial steps you take in addressing suspected fraud can hinder or greatly help your efforts — don’t make the mistake of collecting evidence and acting without the assistance of a team of forensic specialists and legal professionals. I attended Bentley University where I earned my undergraduate degree in accounting and my MBA. I always figured when I graduated I would take a job in tax or audit. At Bentley, I took a forensic accounting course where I learned about the Enrons, WorldComs and Madoffs of the world. I was immediately hooked. I’m lucky enough to have a career where I can focus on doing well and doing a lot of good. The one thing I wish someone would have told me before I began my career was that I was going to make mistakes and that that was okay. The first thing I tell our new staff each year is that they are going to make mistakes, probably a lot of them. The important thing when you make a mistake is that you don’t get frustrated or down on yourself. Mistakes are the most powerful learning tools there are. What value do you see in mentorship, and what advice do you have for someone looking for a mentor? For me, mentorship is one of the single most important aspects of career development. I think it’s essential to find a mentor as early in your career as possible. For me, that meant finding someone who was doing the job I wanted to be doing in five years, and understanding the steps they took and the process they followed to be successful. And when I get there, it is just as important to become a mentor, and help guide others along in their careers. What is a memorable case or project that you have worked on – one that made you feel especially proud? A few years ago I was able to perform a pro-bono engagement working with a charity in the Boston area. Early in my career, it was inspiring to see that EY wasn’t only focusing on their financial bottom line, but also the social impact they were having on the community. When I am not fighting fraud, I’m fighting a hook and a slice on the golf course. I love to play the game as much as possible, even when I can’t find a course. And, as a bonus, it’s a great way to develop business relationships. Ready Ryan's full interview in the Career Center on ACFE.com. Read the full article on Fraud-Magazine.com. Authors throughout history have used pen names for a variety of reasons. In the 19th century, women employed masculine names to remove any bias from publishers (see Mary Ann Evans as George Eliot, and the Bronte Sisters Charlotte, Emily and Ann as Currer, Ellis and Acton Bell). Stephen King didn’t feel the public would buy more than one book from the same author in a year, so he wrote four novels as Richard Bachman until similarities in the works caught the attention of critics. As a forensic accountant, it is hard to communicate to others what exactly I do. With projects and cases varying widely in industry, scope and deliverables, it’s always a stretch to accurately describe the profession in a 30-second elevator speech. That being said, I jump at the chance when the media covers a story that relates to the work of a forensic accountant. Rowling’s recent admission to the public wasn’t brought about by conscience or advice from her agent, but by a team of linguists and computer programs in forensic stylometry. The basic theory is pretty simple: language is a set of choices, and speakers and writers tend to fall into habitual, or at least common, choices. Some choices come from dialect (the reason an Englishman drives a lorry but an American a truck), some from social pressure (if I need to impress someone with my vocabulary, I can utilize a polysyllabic lexicon instead of just using big words), and some just seem to come. An example of the latter category is in the use of many function words. If you ask yourself where the salad fork is relative to the plate, you quickly realize that it's usually to the left of the plate. Or is it? It's just as likely to be "on" the left of the plate, "at" the left of the plate, or perhaps "to" the left SIDE of the plate. Same fork, same position, and at least four different choices for how to describe it, none of which correspond to any sociolinguistic or cognitive variable with which I'm familiar. In forensic accounting investigations, we receive information in many forms: transaction data, financial statements, policy documents and emails – as well as prepared media statements, deposition testimony and legal briefs. It is in these latter three that forensic stylometry can help support (or refute) a forensic accountant’s conclusions about the facts of a case. Was this statement written by the speaker, or by the company’s public relations team? Do the answers to deposition questions appear to be genuine or coached and rehearsed by the legal counsel advising the witness? Does the expert’s report match up to his or her previous reports, or do sections appear to be written by others who are undisclosed? Like most forensic undertakings, forensic stylometry is not a “smoking gun” solution to questions of veracity and authorship; it can still, however, provide insight into the development of the written information received. 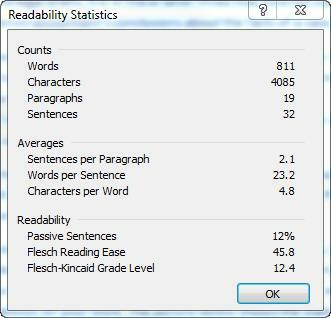 As you can see, I average 2.1 sentences per paragraph, over 23 words per sentence and wrote this piece at approximately a 12th-grade level. Compare some of your writings over time to see if you can identify consistencies. And the next time your intuition about a document’s author or authenticity is off, think about reviewing it through the lens of forensic stylometry. If Juola and Millican could outwit a fantasy writer turned crime novelist, what might you discover? More information on these statistics and their implications can be found in Financial Forensics: Body of Knowledge by Darrell Dorrell & Greg Gadawski, Wiley, 2012.